The 6-0 victory against Peru gave Argentina the ticket to the final and enhanced the suspicions surrounding the conquest. The Peruvians deny any kind of arrangement. The Argentina-Peru match is one of the most outstanding games of the 78 World Cup. It is a symbol. Includes all the components that accompanied the competition. With suspicions, myths, rumors and cross-accusations that overshadow the historic win. The Argentine team needed to win by at least four goals to the Peruvians. It was 6-0. The necessary push that the players needed to reach the final. And the ideal shortcut for the Argentines, which ignited a flurry of doubts and rumors around their historic campaign. The captain remembers the teams were even at the beginning. That while they maintained the physical level they reached in depth the goal defended by Pato Fillol and even had a shot in the post which could has changed the story. But hasn´t. Argentina began scoring goals. Argentina dominated and Peru ... What happened to Peru? 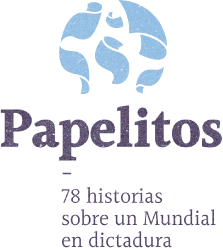 “I played the match and I can swear there was no arrangement” said Teófilo Cubillas, the best player in the history of Peruvian football and one of the figures of the 78 World Cup. The famous match was the last of the second phase of the World Cup. Argentina fought with Brazil for the ticket to the final. The Brazilians had beaten Poland 3-1 and Argentina had to defeat the Peruvians by at least four goals. However Peru’s mentality had been broken. After a great first round with triumphs against Scotland (3-1) and Iran (4-1) and a good goalless draw against Holland, they were on top of group 4. They were expecting three games in a week and Peru was not in peak form: 0-3 against Brazil in Mendoza, 0-1 against Poland in the same province and, already eliminated, the 0-6 against the locals in Rosario on June 21. From that moment the doubts started. And the phantom of the arrangement is still flying. 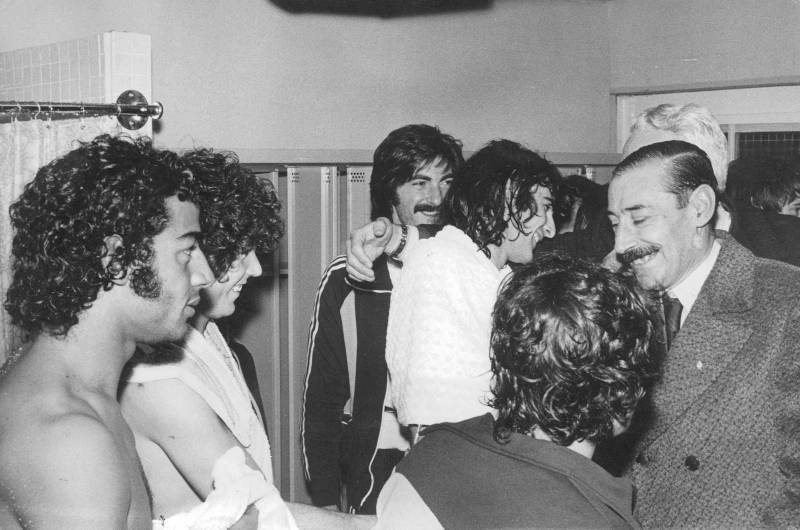 Videla dentro del vestuario peruano en la previa del partido ante Argentina. 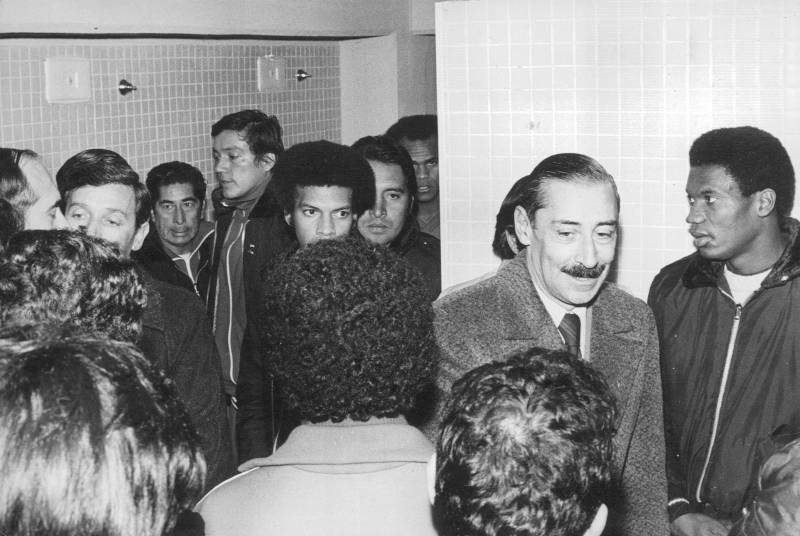 Peruvian players confirm that Jorge Rafael Videla payed them a pre-match visits. He was accompanied by Henry Kissinger, former Secretary of State of the United States. Videla read a statement through which he remarked the brotherhood between the peoples of Peru and Argentina. At that time, the Peruvian government led by the dictator Francisco Morales Bermudez had close ties with Videla. Moreover, the head of the Peruvian delegation in the World Cup was "Paquito", son of the dictator. Suspicions were extended at the time of the match, beginning with goalkeeper Ramón Quiroga, Argentine nationalized Peruvian. Before the game, part of the team asked the coach not to put him as a starter and thus avoid suspicion. The truth is that he played and that he had no clear responsibility in the goals. After the heavy defeat, Quiroga wrote a letter in Clarín in which he tried to save his honor and that of his companions. Others that were blamed were Rodulfo Manzo, the defender whom they accused to arrange their transfer to Vélez in exchange for throwing the game. Also called attention to some decisions of the coach, Marcos Calderón, who died in 1987. In the second half with game being 0-2 he put Raul Gorriti, who had not played a minute in the World Cup instead of José Velásquez. From that modification, came the Argentine goals in waves: 3, 4, 5 and 6. Velásquez was the only one of the Peruvian players to denounce a supposed arrangement to facilitate the Argentine win. 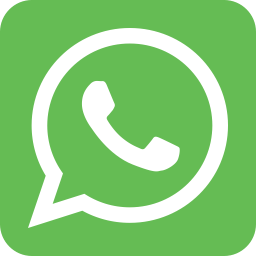 Without strong evidence, he directly accused his teammates Manzo, Raúl Gorriti (midfielder, now deceased), Juan José Muñanante (the striker who hit the post when the match was 0-0) and Ramón Quiroga. The myths multiplied. From the shipments of wheat that left from Argentina towards Peru as a part of Operation Condor. From Videla's underhanded threat to unreasonable suspicions of bribery. While Argentina advanced to the final, Peru was received in their country with insults and complaints. “They shouted us that we were been bought. The people were enraged at the airport. It was very sad”, admits Captain Chumpitaz.